Established in the year 2005, we, “Ylem Energy, New Delhi”, are one of the recognized engaged in manufacturing and supplying a wide range of Chemical Plant & Machinery. The range offered by us includes Bioreactor System, Blenders Machine and Ovens Machine. Additionally, we offer Lifts, Agro Machinery and Dairy Equipment for our customers. These products are manufactured as per the set international quality standards and norms using high-grade raw material and latest technology. Owing to their features like hassle-free performance, durability, efficiency, strong construction and low maintenance, these products are widely demanded by the clients. Based in New Delhi, we have developed a sophisticated infrastructure, which is spread over a wide area. For managing its activities in a streamlined manner, we have divided our infrastructure into various departments. 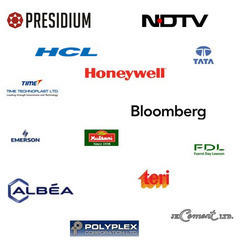 All these departments are well-installed with advanced machines and tools that help in manufacturing quality assured products. Moreover, we regularly update our machines to maintain the excellent production rate. To offer a flawless range of product to our clients, we have established a well-equipped quality control unit at our premises. This unit is managed and controlled by a team of highly experienced quality inspectors, which not only keeps an eye on the entire production process but also checks the manufactured on various parameters. Due to our quality assured products, we have gained immense appreciation form the clients. Under the able guidance of our owner Mr. Suvir Anand, we have been able gain a reputed position in the market. His vast experience, rich knowledge and constant motivation have enabled us to serve our clients in the best possible manner. Supported by a team of skilled professionals such as production managers, quality controllers, warehousing professionals, sales & marketing experts, semi & skilled labors and other support staff, we work to attain maximum customer approval and satisfaction. To enhance their performance of our professionals, we organize regular training sessions through seminars and workshops. To understand their exact requirements and offer the product accordingly, our efficient professionals work in close proximity with our customers. With the aid of our large production capacity of our infrastructure, we have been able to meet the bulk demands in the most efficient manner. Spread over a wide area of land, our infrastructure consists of manufacturing unit, quality control unit, warehousing unit and sales & marketing unit. Due to this division, all the on-going processes are carried out in the most efficient and streamlined manner. Well-equipped with latest machinery, equipment and tools, our infrastructure is appreciated for its large production capacity. Our team has with it experience of more than 35 years that allow us to flawlessly offer competent project management consultancy support as per the specific demands of the customers. Here, for achieving high effectiveness in the delivered solutions, we closely work with clients and assist them in making smarter as well as effective business decisions. 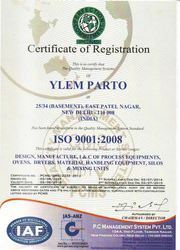 An ISO 9001:2008 Certified Company, we consistently work towards delivering quality assured industrial plant and machinery as well as project consultancy and management services as per the specific demands of the customers. We work with a firm belief that the only way to achieve complete client satisfaction is by delivering them quality solutions based on advanced technology support. Here, the consistent approach maintained by us in delivering reliable and expert services and flawless implementation of well defined processes has also helped us to deliver end solutions that is par excellence. Further, the use of quality raw material, well defined and implemented quality analysis steps as well as various other measures have also assisted us in delivering quality end solutions to our customers. High grade materials that are sourced from trusted vendors are used for manufacturing the offered range of machines and plants as per the industry laid norms. We have been able to manage the bulk demands, owing to our large production capacity. Keeping the ease of our customers in mind, we offer this range in user-defined specifications. Moreover, total quality management and timely delivery has helped us in winning the trust and confidence of our valuable customers. Different modes of payment are offered, keeping the budget constraint of our customers in mind.